by Angela Magnotti Andrews Over 95% of our modern supply of opals is found in the wilds of Australia. Here, opal gemstone legends come alive in the spiritual practice of the Aborigines. In one such legend, a young boy plants his staff in the ground. While he eats his lunch, the staff solidifies into opal. In another account, opals are said to have flown from the end of a firestick. This firestick was being tossed about by a bronze-winged pigeon. In another, opal was birthed from the footstep of the Creator. And in other stories, some specimens of opal represent the transformed organs of the Ancestral Beings. The indigenous people of Australia carry their vast history in a collection of stories. The legends and wisdom (law) of the ancients has been passed down orally from generation to generation. The Dreaming is a recurring part of that history. It refers to the time when Ancestral Beings roamed the earth to establish life. These beings are said to have created the animals, plants, and rocks. They are also credited with establishing the connections between all these life forms. When they were finished with their work, these Ancestral Spirits shifted shape. They became trees, stars, rocks, and sacred sites such as watering holes. To find these sacred sites is to preserve them. The Aborigines revere them as the link between the past, the present, and the future. It is said that some of the Australian opals were formed from the organs of those Ancestral Beings. All opal is approached with mystery and power. However, these sacred opals are believed to harness a greater measure of power and mystery. They were left behind as a sign and a remembrance to those who would come later. Other Australian opal legends include the story of their birth. This story is reported to be a part of The Dreaming, as well. In this account, the Creator visited humanity with a message of peace. He is said to have traveled on the arc of a rainbow. The moment His foot touched ground, the stones beneath his feet sparked to life. In a cascade of rainbow colors, opals were born. 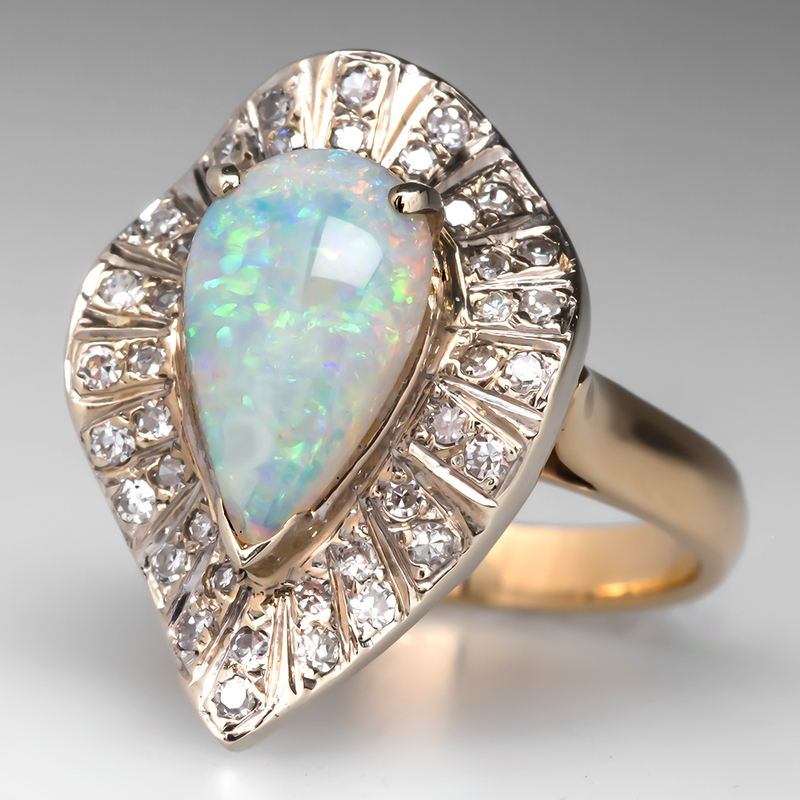 In all of these opal legends, the magnificence and import of opals shine through. 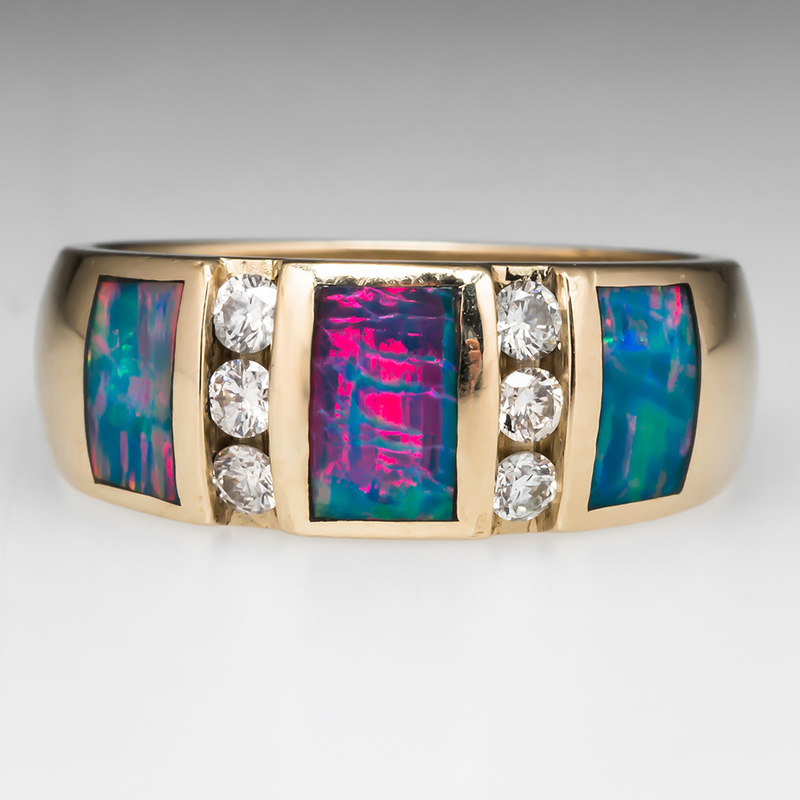 Opals are said to bring happiness and good dreams. They are believed to bring hope and stir emotions of loyalty, love, and connection. Australian Government. "The Dreaming." Accessed October 21, 2014. http://australia.gov.au/about-australia/australian-story/dreaming. Hatchman, Peter. "History of Opal," Opals on Black website. 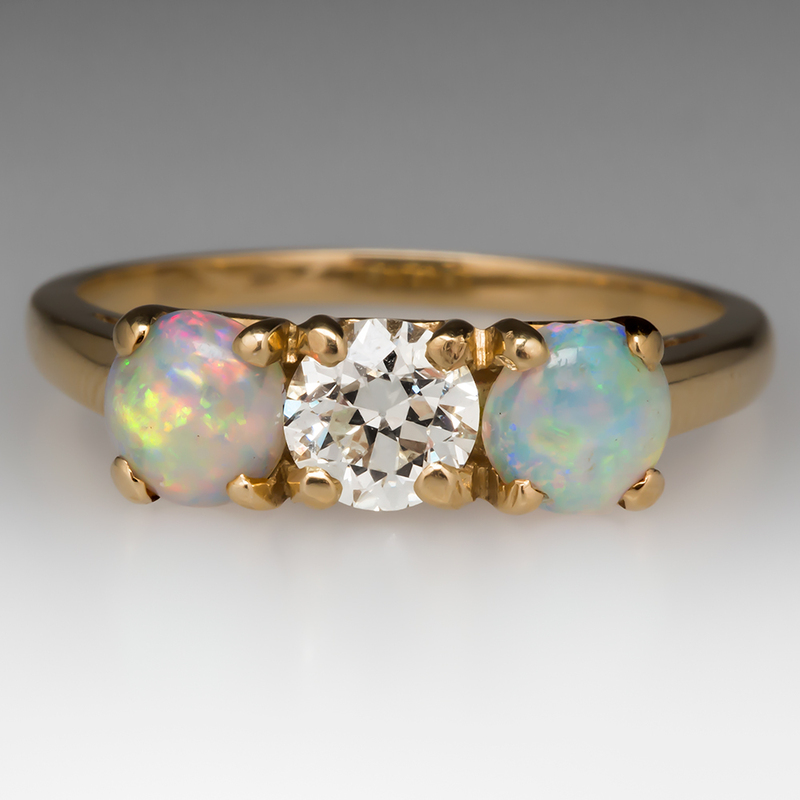 Accessed October 21, 2014. http://www.opals-on-black.com/HistoryOfOpal.html. Our Pacific Ocean. "Australia Aboriginal Mythology 1." Accessed October 21, 2014. http://www.ourpacificocean.com/australia_aboriginal_mythology1/index1.htm.